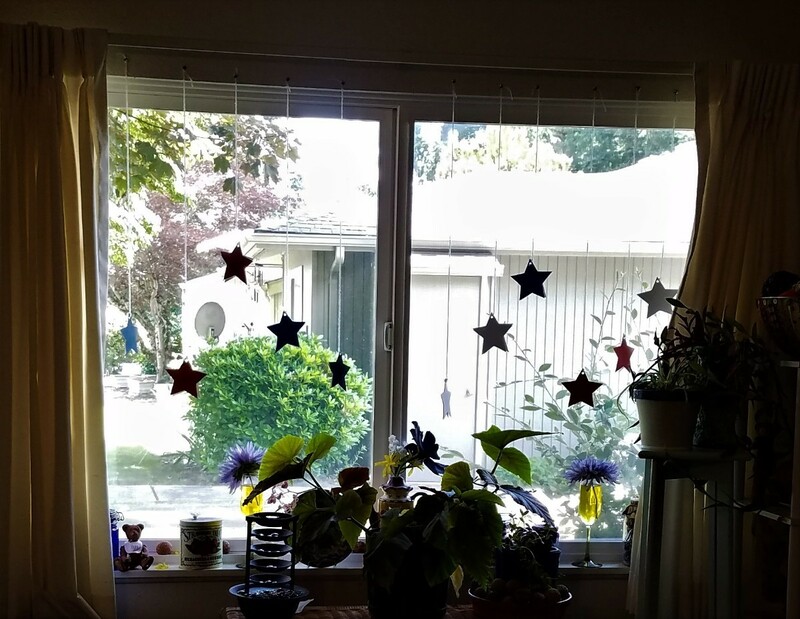 I love decorating my big window with stuff that hangs from 12 pieces of yarn. For Valentines Day, St. Patty's, Easter, and spring, I had hearts, shamrocks, eggs, and birds. Now that summer is almost here, this! 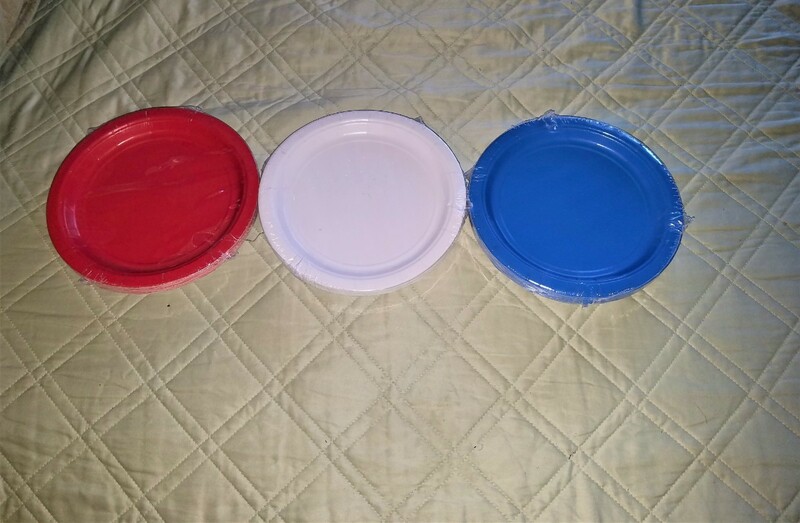 You will need 3 packages of each color. I thought of getting the flag colored ones, but wanted each to be different. 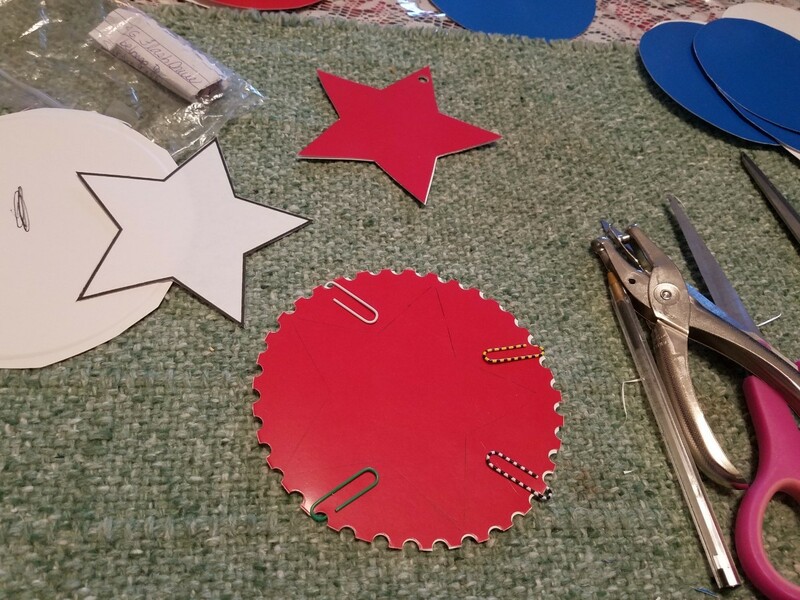 Cut the center out of as many plates of each color as you need, to make the stars in the color combinations and quantity you wish to hang. 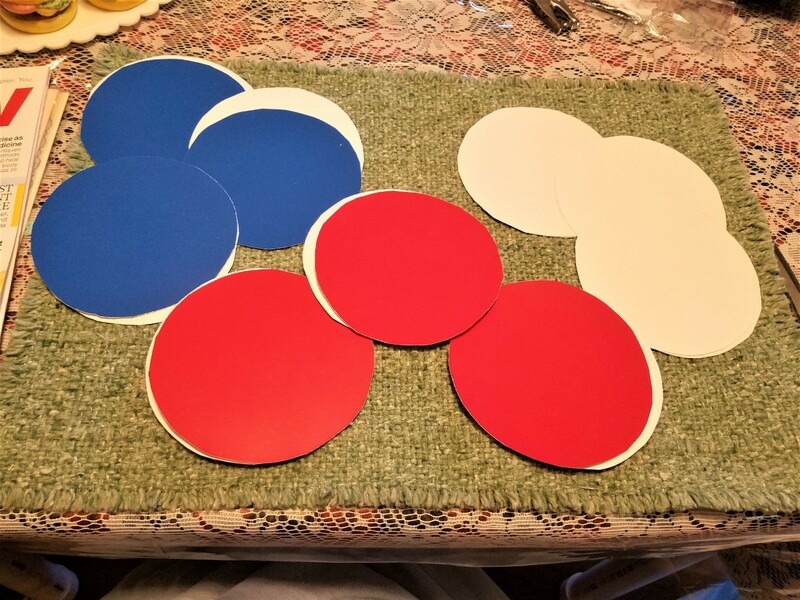 Cut each from the back. It's easier to cut from the back as your rounded edges are turned down, not up. 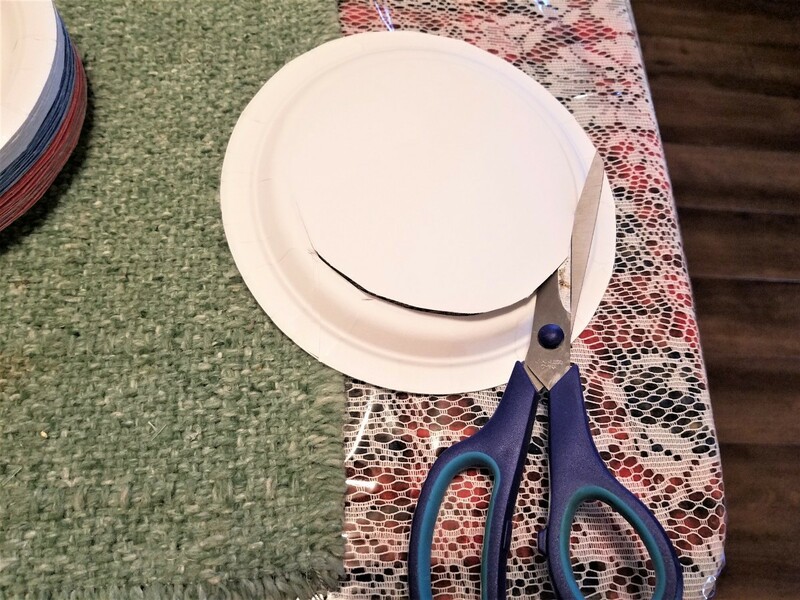 You can also cut them off from time to time to make it easier. I cut them two at a time, but it's easier to take a bit of time and make it easier on your fingers. 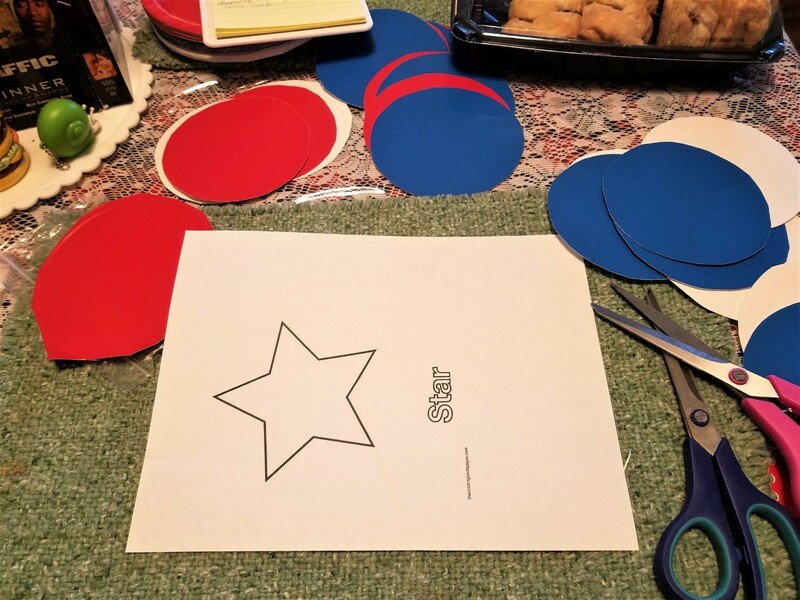 Trace the star shape on each circle and cut. 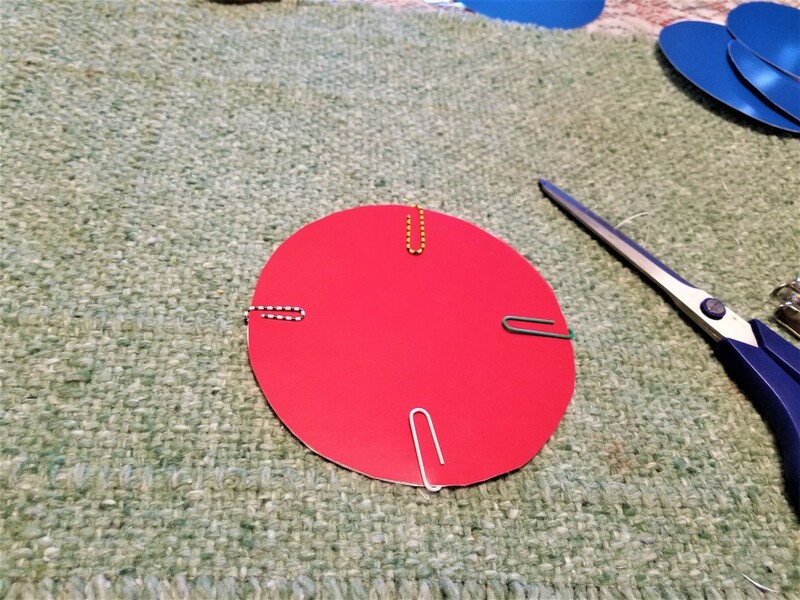 I found it was nice to hold the circles in place with some paperclips, but only if you are cutting two at once. Once the stars are cut, punch a hole in one of the the points. 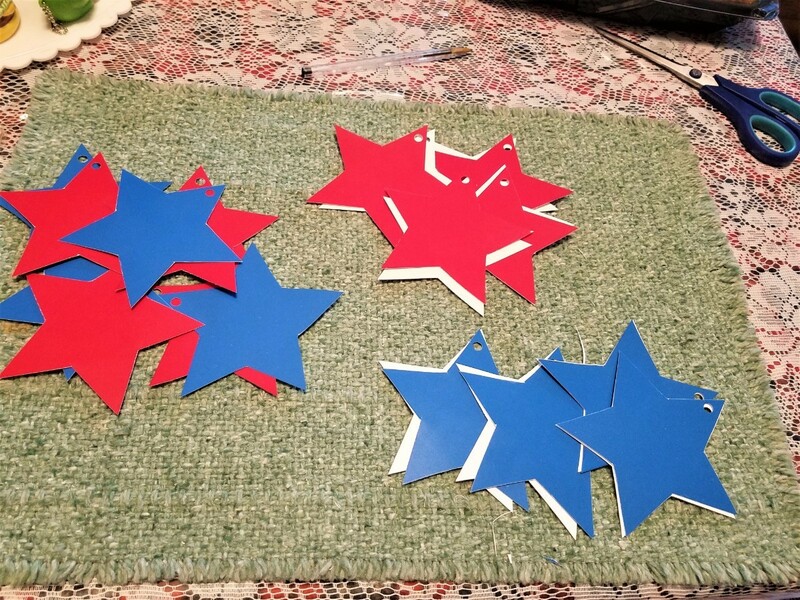 When each is done, I matched blue and red, blue and white, and red and white, for a two colored star. 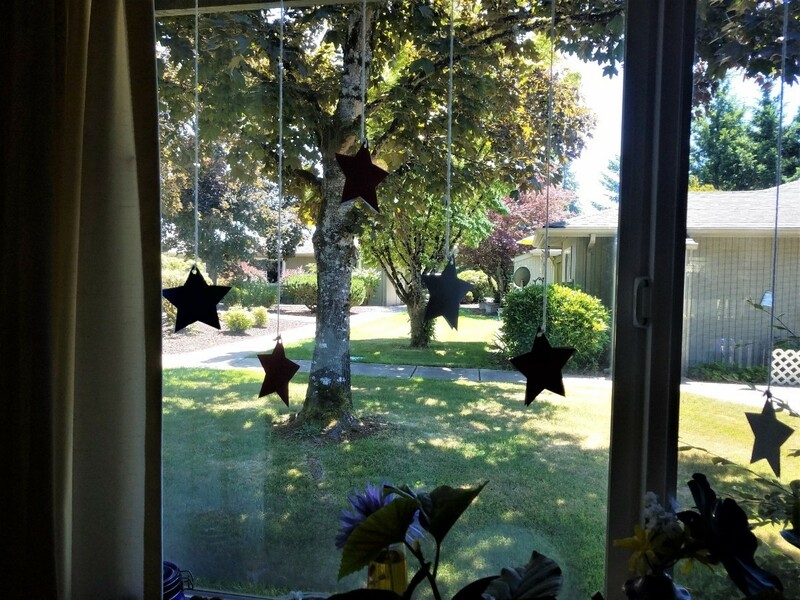 Then I hung them up on my 12 strands of yarn. When it's all done, if the stars twirl, people see both sides and it's always a bit different. Here they are as seen from inside. 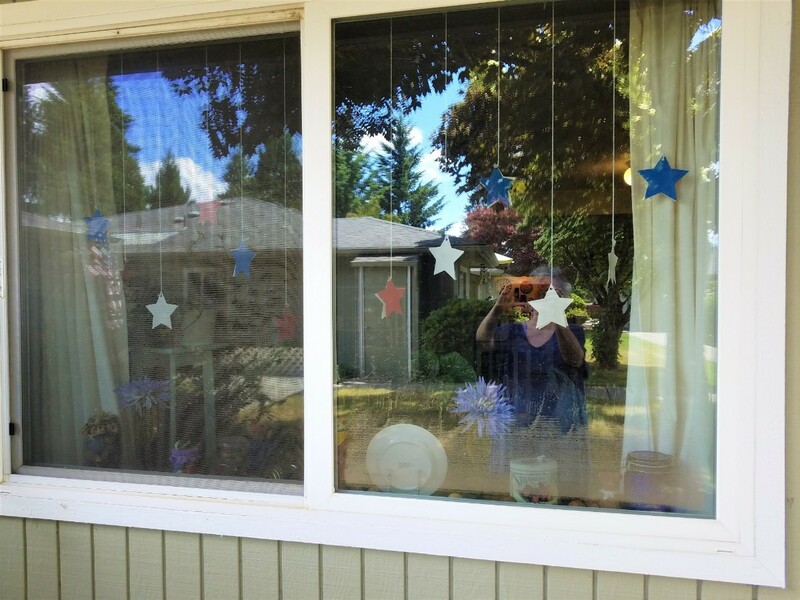 The main photo is them seen from outside. N-JOY! !